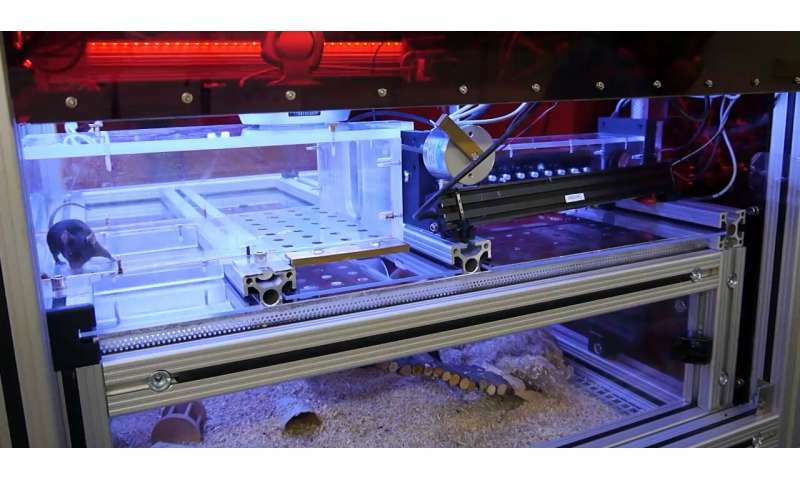 The 'Autonomouse' system improves animal welfare whilst simultaneously enhancing the efficiency and reliability of research findings. The team of scientists and engineers behind it have openly published the design and software of the system in PLOS ONE so that other labs can build their own. "We want to understand how the brain works, and for that we need to measure behaviour," explains Andreas Schaefer, Group Leader at the Crick who led the project. "In mice, this is normally done in a very manual and laborious way, which limits the amount of questions we can ask. So we thought of a more efficient way of doing this by getting animals to train themselves." In Autonomouse, groups of mice live together in an enriched environment with running wheels, ladders and unlimited access to food and water. Each mouse is tagged with a unique microchip—like those used for household pets—so that researchers can carefully monitor its activity levels, weight and water consumption. The microchip also acts as an ID pass to access training: When a mouse enters the training room, a door closes behind it, temporarily preventing other mice from entering while it carries out a learning task for a reward. Data from the learning task is automatically recorded, and linked to the unique mouse ID. 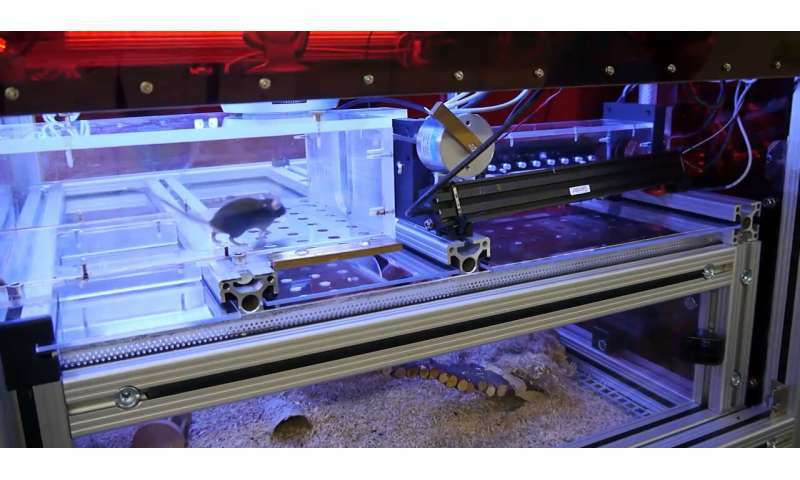 "Working with an unstressed, group-housed cohort of mice that train themselves at the time of day that suits them, without the intervention of researchers over long periods of time, makes our experiments better and more efficient," says Andreas. People from the Crick's Biological Research Facility, Mechanical Engineering, Electronics and the Making lab, who helped create this system were recently awarded a Crick prize for improving animal welfare.